Though none of them were startling, one finding from a February study launched by Miami’s Downtown Development Authority gave rise to discussion at the group’s March meeting. The survey was sent to everyone on the authority’s email list, so it was not intended to be a scientific query, “but rather one to gauge stakeholder sentiment to help guide the board as it sets priorities for the year,” said an authority source. Out of a total 12,000 addresses on the email list (which the authority acknowledged could include duplications and invalid addresses), there were 1,600 emails opened and 336 responses, yielding an 18% open rate, “which is above the industry standard for a survey of this kind,” the authority source said. Some answers were predictable: favorite things downtown were entertainment, dining, arts and culture. The top things respondents would change are traffic, homelessness, cleanliness, safety and lack of public transportation. Farmers’ markets and community events were the most desired activities. One survey finding that had directors scratching their heads was the No. 1 answer to the question: “What do you need to make you more comfortable in downtown Miami?” More open green space was the most frequent answer, followed by more police officers, expanded retail options and enhanced lighting. “We’ve got Bayfront Park, Simpson Park, and a couple of other parks,” said board member Jerome Hollo, who is vice president of Florida East Coast Realty. 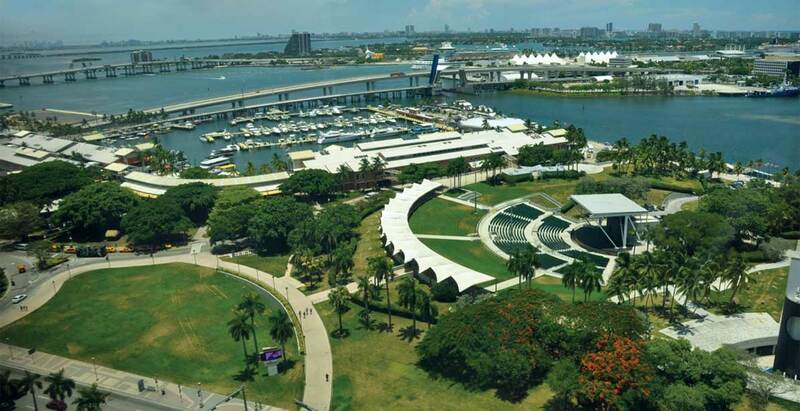 Museum Park and Mary Brickell Park are also within the authority’s boundaries, said Alyce Robertson, authority executive director. “Add to that Margaret Pace Park, and we have enormous recreational resources downtown,” said board Vice Chair Neisen Kasdin, who is also office managing shareholder of the Akerman LLP law firm. “We have it on the radar screen,” Ms. Robertson answered. At the Feb. 27 retreat and at the subsequent board meeting, directors decided to take another look at the authority’s master plan and set up a workshop to tweak it if that is deemed necessary. Patches of grass and some sporadic trees do not make good parks. And holding more events on the few parks we have with fences and booths to make the fields muddy is not a good way of “getting the word out”. Spend some of the money making the parks better and watch the people stroll in. No! You don’t need to get word out about the parks that ready exist, what we need is for the city and DDA to understand that as more families move to the CBD they need to have parks WITH PLAYGROUNDS in the CBD. Neither Museum Park nor Bayfront Park have playgrounds on which kids can play. If a family lives in the core of the CBD, say Flagler Street, where might that family take their children to play? What means of transportation will they take to get there? How fast will that transportation get them there? How accessibly is that transportation for somebody pushing a stroller? If they drive, is there enough parking close to the playground? Residents of Miami Beach and Hialeah almost always find a playground within a five minute walk of their home. Where can residents of the CBD, or Brickell,find that? Hollo and the rest are crazy if they think the residents of downtown have enough parks. Miami has the lowest per capita of parks for a city of its size, and we’re in the tropics. BTW, why did the city lease or give the land at the corner of NE 18th (across from Beth Israel), to Braman to park cars? That’s city owned land and was an undeveloped land which Sarnoff made sure never got used as a park. Maybe now is a good time? This statement itself should be enough to disqualify this person to be in any public position. The great thing about Miami is that we have the Ocean and the Beach. If not, our flagrant lack of green spaces will be cruelly displayed. The city doesn’t care at all. They don’t invest in parks and just let developers build and build and build even more. Next to Brickell we have the Jose Marti park, where the City does absolutely nothing. It is exactly like traffic and public transportation, they did nothing for 25 years and now they wake up and give us some BS explanations about why the current situation is so great. Shame.